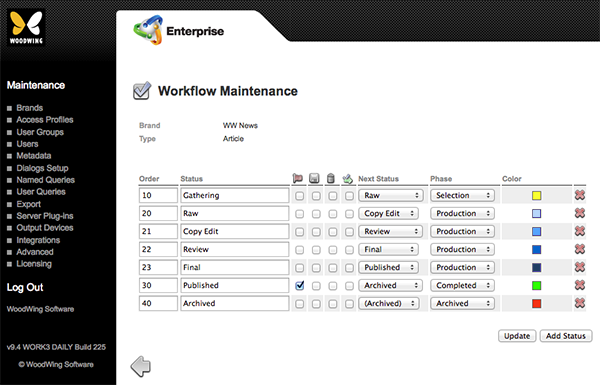 The Workflow Maintenance page in Enterprise Server 9 holds all the settings for a Workflow Status. 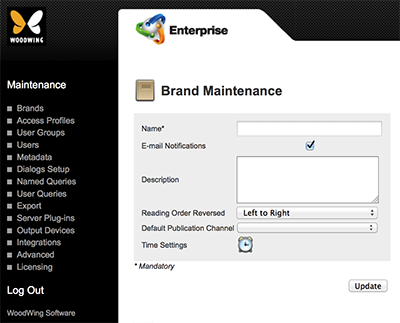 Figure: The Workflow Maintenance page with statuses set up for an Article. Step 3. 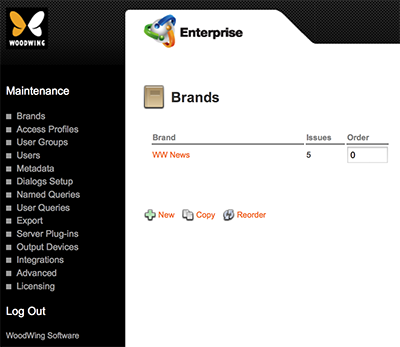 Locate the Workflow options. Step 4. 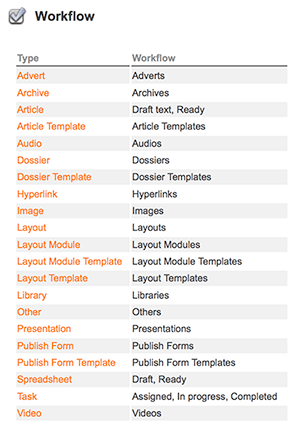 Click the name of an object type or click Add.